The 20th annual Star Wars Celebration takes place this weekend in Chicago from April 12-15 and it is a jam-packed weekend of highly anticipated news for the blockbuster franchise. The four-day event will cover all mediums the Star Wars universe inhabits, with a few notable pieces of news highlighting the festivities. The much-anticipated release of the Star Wars Episode IX trailer tops the list of what fans are most excited about, as very little information on the conclusion to the sequel trilogy has been revealed. 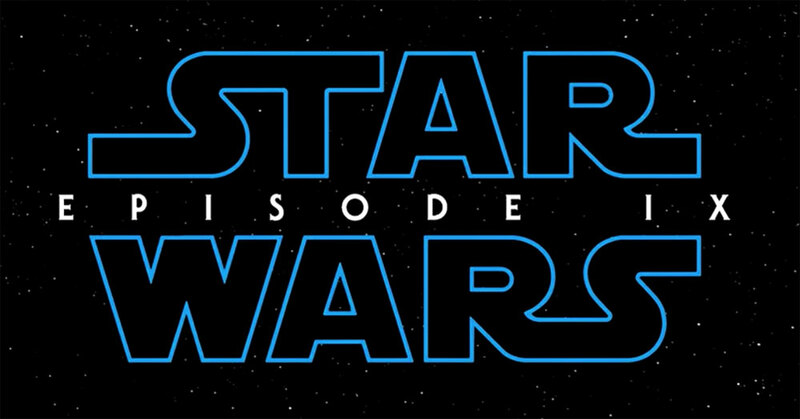 There have been a few snippets here and there, but nothing has been confirmed by Disney or LucasFilm other than the end of principal photography and the few set photos that have been released to the public. Needless to say, after the divisive release of The Last Jedi, many are curious to see how The Force Awakens director J.J. Abrams will handle the third installment of Disney’s new trilogy. 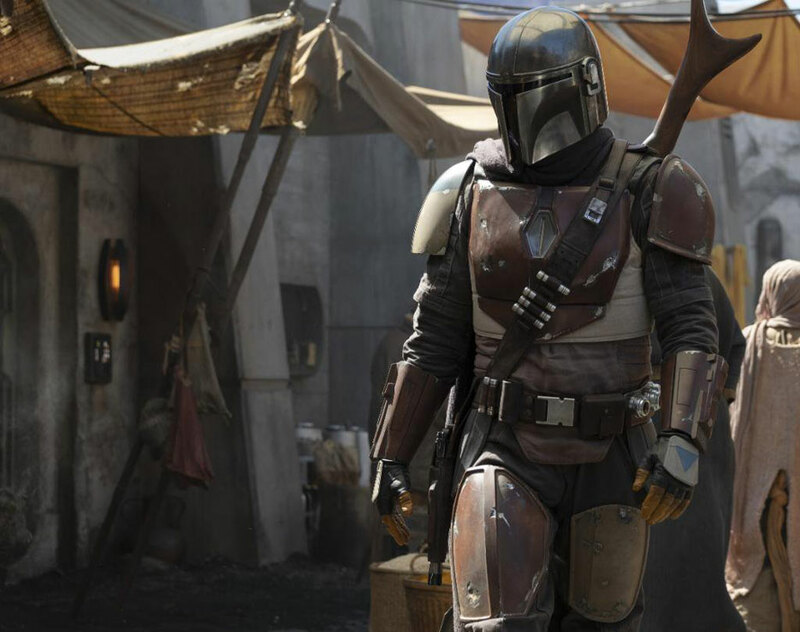 Though Episode IX is the crown jewel of this fan event, there are many other projects of interest worth keeping note of, including the Disney+ series The Mandalorian from showrunner Jon Favreau. The Mandalorian marks the first live-action Star Wars TV series and has assembled notable talent for it with Pedro Pascal as the series lead. Fans will also be treated to updates on the new season of the Clone Wars animated series, Season 2 of Disney XD’s Star Wars Resistance, the reveal of EA and Respawn Entertainment’s Jedi: Fallen Order video game, the VR experience Vader Immortal, and lastly new details on Disneyland’s new Star Wars Galaxy’s Edge attraction. Star Wars: Episode IX Panel – 11am CT/12pm ET/9am PT/5pm BST – The official title is expected to be revealed along with the film’s first teaser trailer and one sheet poster. Vader Immortal: A Star Wars VR Series Panel – 1:30pm CT/2:30pm ET/11:30am PT/7:30pm BST – ILMxLAB and Oculus offer a sneak peek at the VR experience that takes you into the heart of Darth Vader’s Mustafar Fortress seen in Rogue One: A Star Wars Story. Creatures, Droids, and Aliens Panel – 4pm CT/5pm ET/2pm PT/10pm BST – Neal Scanlan, Creative Supervisor of Pinewood Studios’ Star Wars creature shop, hosts a behind-the-scenes look at the making of the Sequel Trilogy’s aliens and droids. Lucasfilm Publishing Panel – 4:45pm CT/5:45pm ET/2:25pm PT/10:45pm BST – Expected announcements of upcoming Star Wars tie-in books and novels from a panel featuring writers such as Jeffrey Brown, Claudia Gray, and Timothy Zahn. Galaxy’s Edge Panel – 11am CT/12pm ET/9am PT/5pm BST – Details about upcoming Disney Parks attraction Galaxy’s Edge, which will feature a ride called Rise of the Resistance. Del Rey Panel – 12:45pm CT/1:45pm ET/10:45am PT/6:45pm BST – Star Wars authors Claudia Gray, Timothy Zahn, Alexander Freed, and Delilah S. Dawson discuss their current books and what else is on the way. Rebels Remembered Panel – 12:45pm CT/1:45pm ET/10:45am PT/6:45pm BST – A retrospective look on Star Wars Rebels with Dave Filoni and special guests. Disney has confirmed no new series will be announced during this panel. 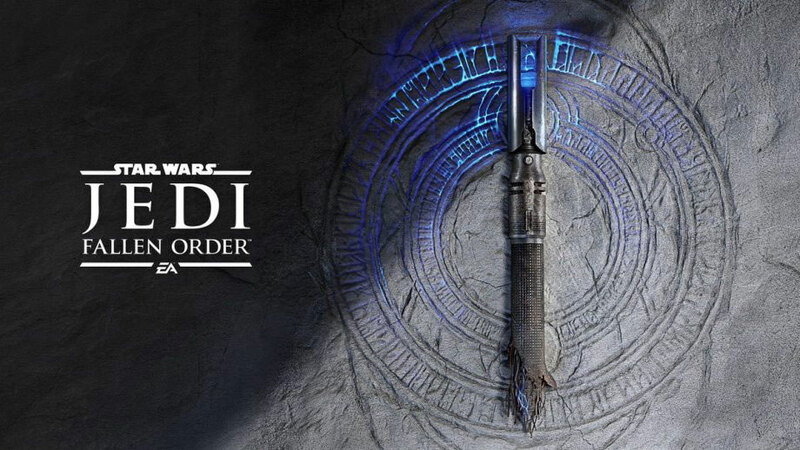 Jedi: Fallen Order Panel – 1:30pm CT/2:30pm ET/11:30am PT/7:30pm BST – First look at the upcoming video game from developer Respawn Entertainment and publisher EA Games. A cinematic trailer and gameplay footage is expected to be released. The Mandalorian Panel – 11am CT/12pm ET/9am PT/5pm BT – First proper look at Jon Favreau’s Disney+ series is to be expected along with some teaser footage and/or a trailer with a release date. Marvel Comics Presents: Star Wars Panel – 2:30pm CT/3:30pm ET/12:30pm PT/8:30pm BST – Marvel Comics writers Greg Pak and Ethan Sacks discuss their respective comic book series, Star Wars: Age of Rebellion and Star Wars: Galaxy’s Edge. The Clone Wars Panel – 3:30pm CT/4:30pm ET/1:30pm PT/9:30pm BST – This panel will offer a sneak peek at the revival of the series first teased at last year’s San Diego Comic-Con. A new trailer is expected. Star Wars: The Phantom Menace 20th Anniversary Panel – 11am CT/12pm ET/9am PT/5pm BST – A retrospective look back at the movie that kicked off the prequel trilogy, hosted by Warwick Davis with special guests. 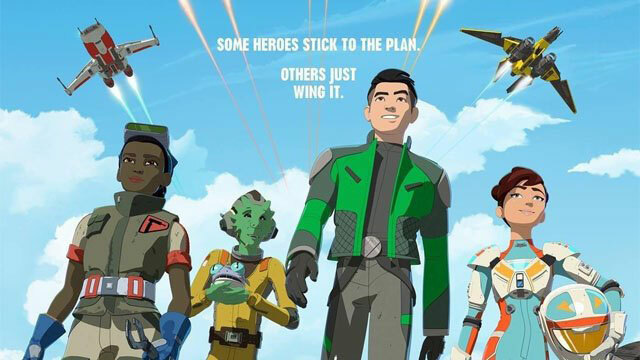 Star Wars Resistance Season 2 Panel – 1:30pm CT/2:30pm ET/11:30am PT/7:30pm BST – Executive Producers Justin Ridge, Athena Portillo, Brandon Auman plus special guests offer a sneak peak at the upcoming second season of the Disney XD series. 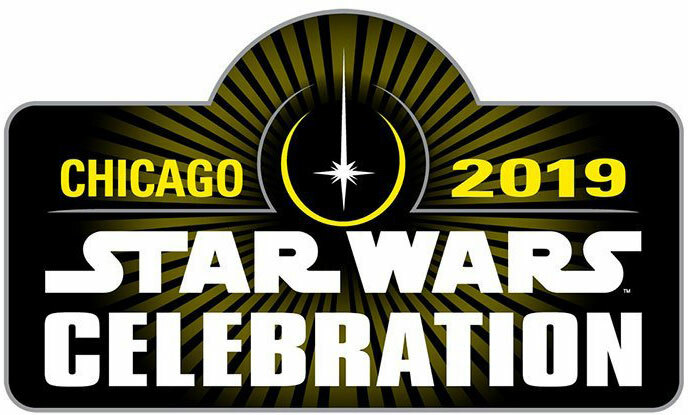 Star Wars Celebration Closing Ceremony – 3:30pm CT/4:30pm ET/1:30pm PT/9:30pm BST – Wind down with a closing ceremony that looks back at the biggest reveals and highlights of the weekend. The new live-action Dumbo, based on the beloved classic cartoon feature, is whimsical and adorable, with strong performances and an adorable baby elephant. New movies in theaters – After, Hellboy and more!